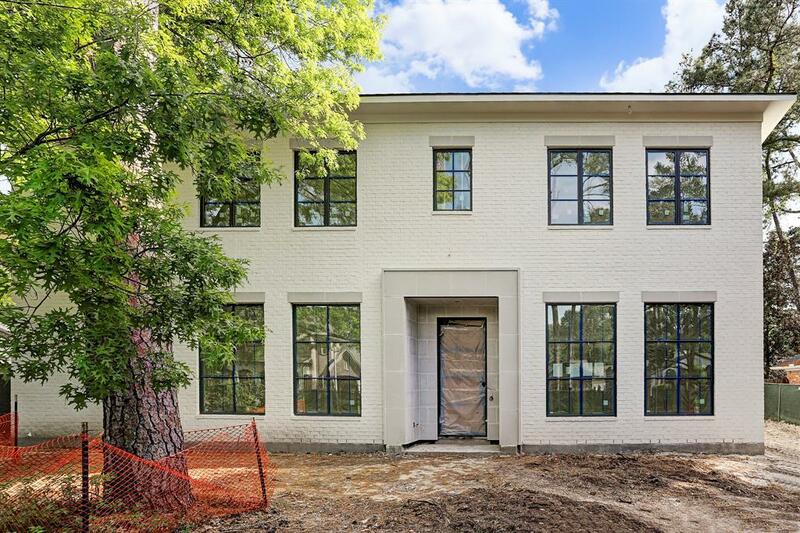 Sophisticated luxury meets timeless elegance in this new construction by McCollum Custom Homes located in highly desirable Frostwood. Interior Design by Amy LeCrone of LeCrone Designs. Painted brick exterior w/cast stone surround at entry and front windows. Formals with amazing ceiling and wall details. Family room w/antique beam ceiling & gourmet kitchen, Sub Zero & Wolf appliances, custom cabinetry & large island opens to breakfast room overlooking covered patio and backyard with room for a pool. Home office, mudroom & butlers pantry off kitchen. First floor Master Suite with beamed ceiling & floor to ceiling window. Second floor has 4 bedrooms with ensuite baths. All w/ designer details. Large light-filled game room. Zoned to excellent schools: Bunker Hill Elementary, Memorial Middle, Memorial High. Estimated Completion Late Summer. Disclaimer: The features, dimensions and elevations shown on plans are subject to minor changes by builder.